Creating an equestrian brand with a difference. Harry Hall is an equestrian brand with a difference. 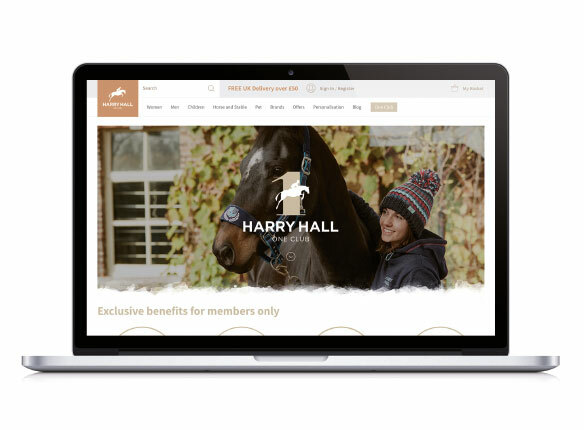 Becoming a hub for the discerning rider, Harry Hall encompasses a range of brands covering everything from equestrian fashion to horse healthcare. Harry Hall is an equestrian brand with a difference. Becoming a hub for the discerning rider, Harry Hall encompasses a range of brands covering everything from equestrian fashion to horse healthcare. Harry Hall approached Halo to help them on their journey to becoming a B2C company that’s at the forefront of the equestrian consumers mind. 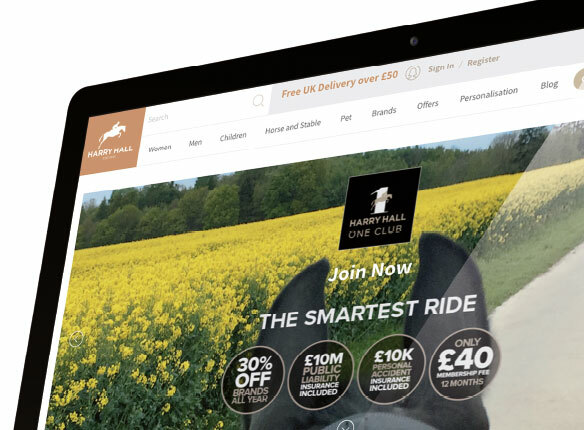 They needed a digital presence and wanted to move away from traditional bricks and mortar and focus on selling direct to the customer online.Harry Hall approached Halo to help them on their journey to becoming a B2C company that’s at the forefront of the equestrian consumers mind. They needed a digital presence and wanted to move away from traditional bricks and mortar and focus on selling direct to the customer online. We developed and customised Harry Hall’s Magento 2 store, and created a PPC strategy designed to increase awareness and conversion. 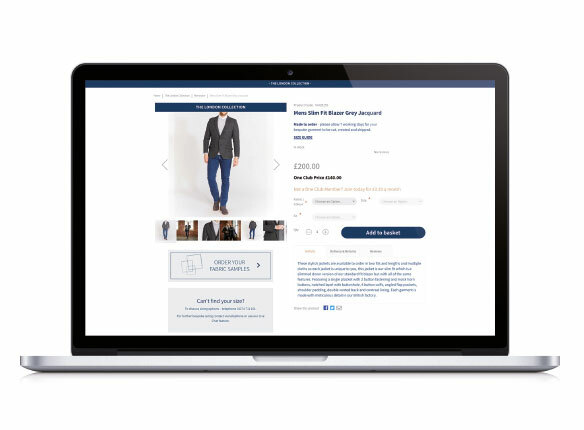 As well as ensuring we delivered a great online shopping experience, we developed two custom modules to help them deliver a more tailored experience. To focus on customer retention and repeat purchase in order to build on a long term strategy. The scheme is operated on a monthly subscription to give the customer ‘Club’ status, which gives them access to lower prices across the site, and opts them in to a personalised email journey within Dotmailer. We created a point of difference on the tailoring service product pages, to set them apart from other products, to give them a more exclusive look. The addition of a fabric sample ordering service that is dynamic to each product, allows Harry Hall to upsell their exclusive tailoring service. With rising costs, falling margins and a reducing B2B market, Harry Hall decided to go direct to the consumer. Within 6 months of launching the site, Halo had introduced a full online membership and insurance scheme. Membership was growing rapidly, Black Friday sales exceeded all forecasts. The result was, within 8 months Harry Hall were able to close their B2B warehouse and rely purely on online sales.